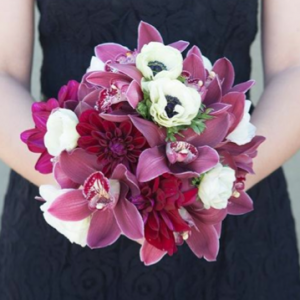 We are obsessed with today’s Bouquet Blueprint!!! Jacki from Floral Design by Jacqueline Ahne has outdone herself once again! 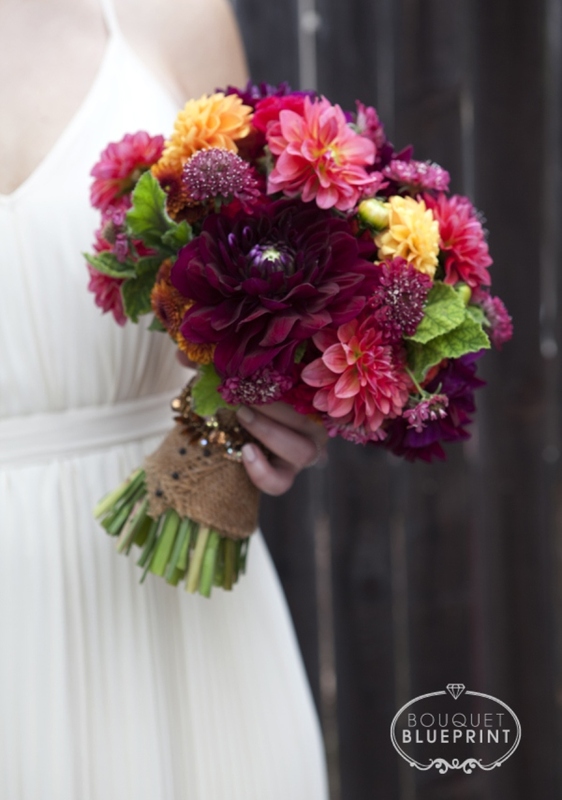 Fall has so many wonderful options for flowers and color choices. Today’s bunch is fully embracing that cozy fall feeling… this bouquet has a traditional fall color palette with a few pops of brighter tones. 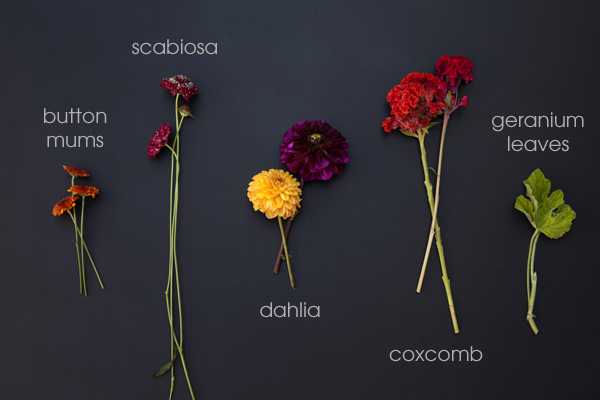 It has a very round shape with depth created by the slight height difference of the scabiosa and the dahlias. The stems are wrapped with burlap ribbon and an heirloom bracelet has been added for a little extra bling with a sentimental touch! 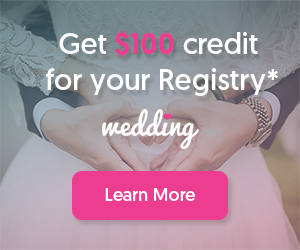 AVAILABILITY // This bouquet is best for a fall wedding. Each of the flowers has a different season but all are available late summer till the end of fall. 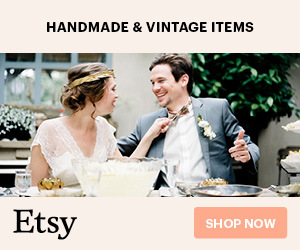 STEM WRAP // The bouquet stems are covered in a burlap ribbon accented with pins along the frayed edge of the ribbon. 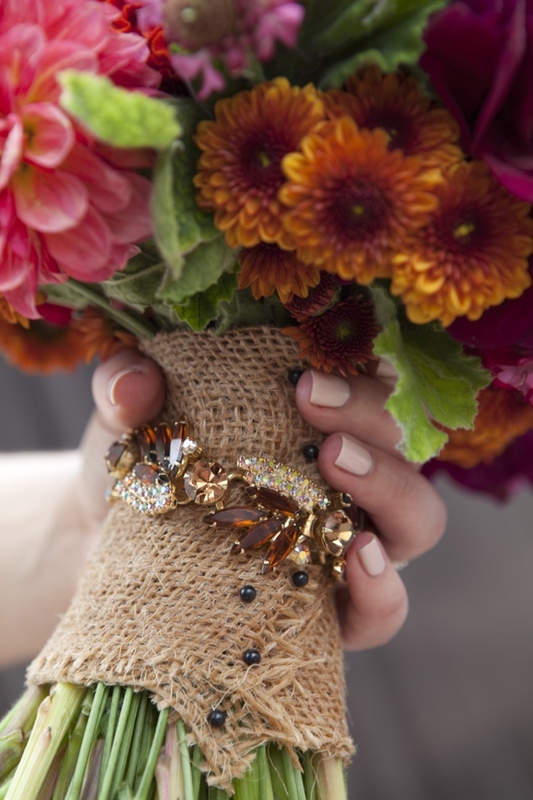 A vintage bracelet has been attached to the bouquet adding a touch of glamor and incorporation a family heirloom. 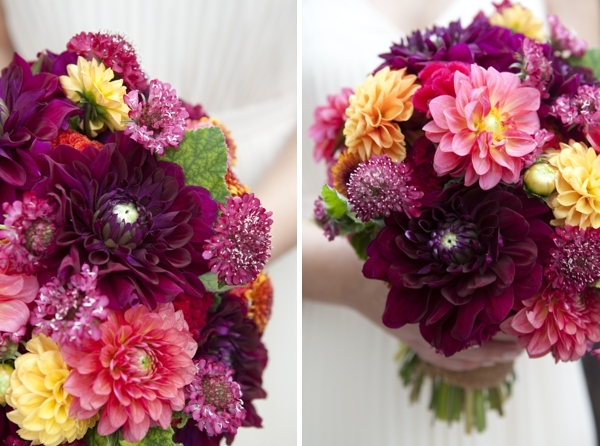 CARE // Dahlias are a delicate flower so it is best not to over handle this bouquet. 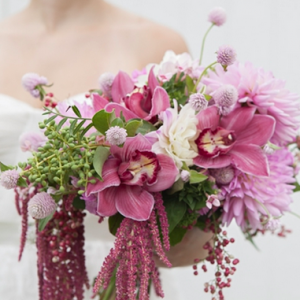 This bouquet will also benefit greatly if it is kept in a small amount of water until the wedding begins. If a few of the dahlia petals start to bruise they can be delicately plucked from the flower giving it an instant fix. BOUTONNIERES // This bouquet has so much texture it’s almost a must to have a boutonniere with just as much texture! 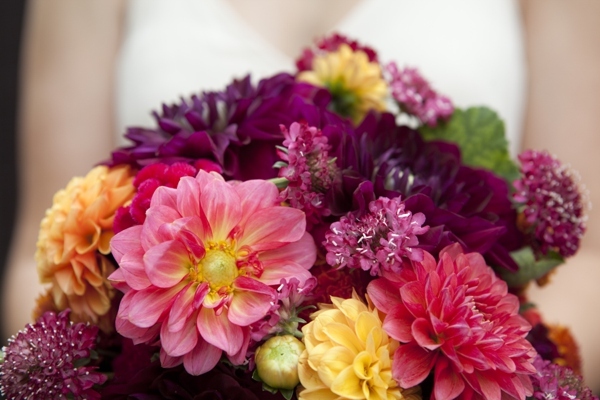 Dahlias are a tricky option for boutonnieres however they can work as long as the recipient is careful and it’s put on just prior to the wedding starting. Be sure to select the best size for the jacket. 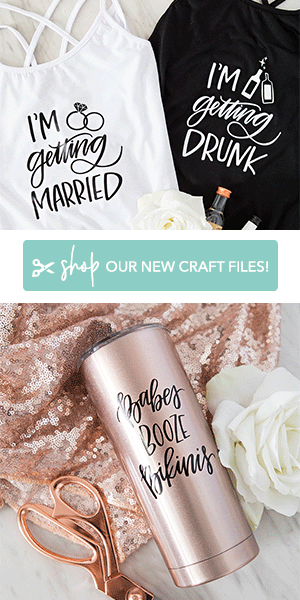 Another fun option would be to incorporate a bit of glamor. 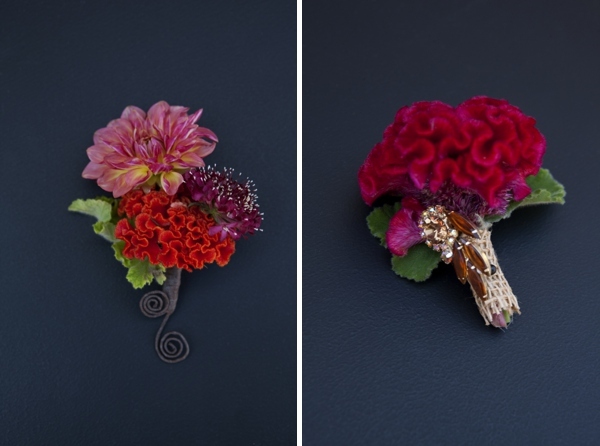 Shown on the far right is a coxcomb boutonniere accented with a vintage clip on earring.